The world's bestselling boot. Lightweight and warmer than ever with comfort you can feel from the start. 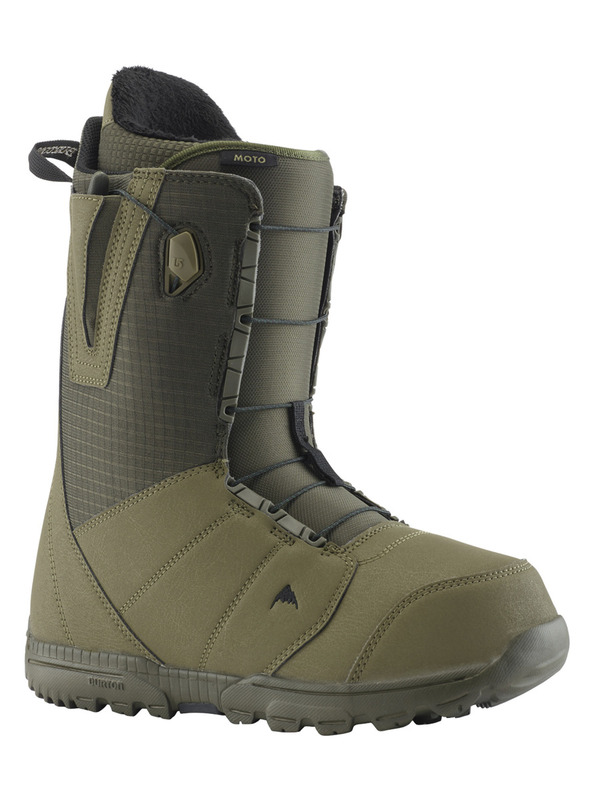 On the feet of more riders than any other boot, the Burton Moto™ boot offers top-tier comfort and ease of use, at a price that's hard to beat. Make record time from lodge to lift line with hassle-free Speed Zone™ lacing, spoil your dogs with Total Comfort for a broken-in feel right out of the box, and cushion every bump with the featherweight DynoLITE Outsole. Sleeping Bag heat-reflective foil defies cold weather by capturing and radiating body warmth back at you. As the softest, most forgiving men's Speed Zone boot Burton makes, the Moto's proven comfort will improve your skills as you explore the entire mountain.